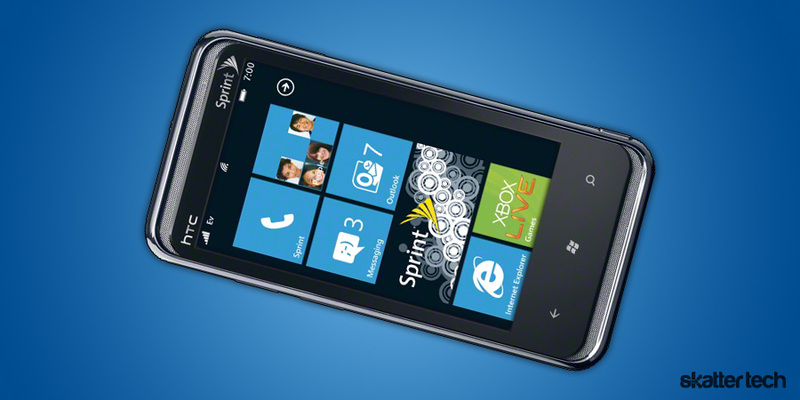 After a somewhat disappointing press event a few weeks ago, Sprint got back into the game this morning with the HTC Arrive, the carrier’s first Windows Phone 7 device. It features all the expected goodies including live tiles on the home screen, Bing search, Xbox Live, Zune, a full HTML browser, an Office Hub, and access to the Windows Phone Marketplace. Although the HTC Arrive does not offer a dual core processor like the AT&T Motorola Atrix, it still packs plenty of heat. According to the press release, it appears as though Sprint will bundle their own apps such as Sprint Zone, Sprint TV, Sprint Movies, and Sprint NASCAR Cup. It is unclear whether these will steal any permanent home screen live tile spots or whether customers can choose to uninstall these apps. 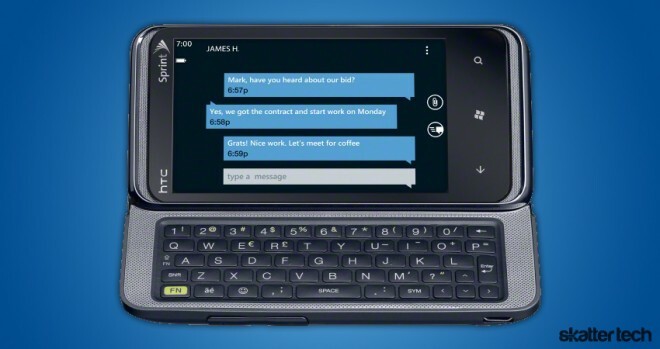 For those that did not notice, the HTC Arrive packs a large physical QWERTY keyboard, which sets it apart from the majority of Windows Phone 7 devices. The design is also reminiscent of the Windows Mobile 6.5 based HTC Touch Pr02 we reviewed two years ago. According to Sprint, the HTC Arrive will be available on March 20th for $199 with a new two-year contract and after a $100 mail-in-rebate. Those dying to get their hands on one immediately can pre-order and reserve a device by purchasing a $50 gift card at any Sprint store. Also, a quick heads up to existing Sprint customers looking to upgrade. The carrier now charges an extra $10 per month on all new monthly smart phone pricing plans. This brings the popular EverythingData plan, which includes unlimited data and unlimited calls/texts to any mobile device to a total of $80 with the new fees. We should be getting our hands on a review unit fairly early, so stay tuned for an in-depth look.